Home GARAGE LIFE	Fatlace Livery Contest WINNER! With the overwhelming number of entries submitted for our livery contest, we decided to do the voting internally. And while we appreciate everyone who entered the contest there were 3 that stood out from the rest. 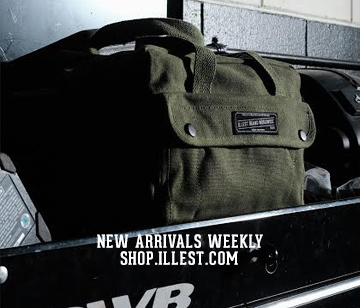 All winners will be contacted this week and again, thank you for participating. If you’re ever around the area and have submitted some work, come by the paddock and we’ll hand you some stickers. First place was a tough call but in the end Mike Silva came out with the honors of being first. 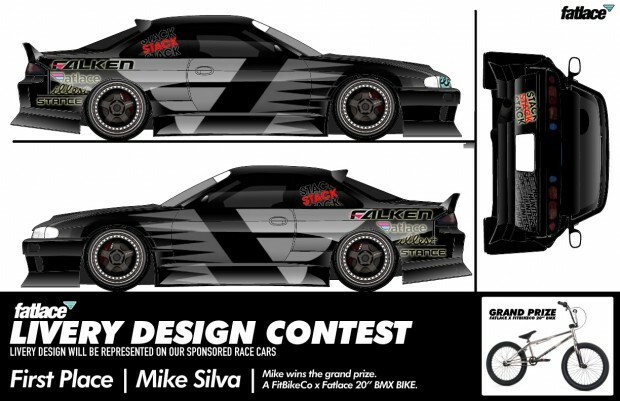 You’ll see his design on our sponsored drift cars and we’ll have some stickers made up for RC cars of this livery for you guys that drift Rc’s. Congrats to Mike for a job well done. 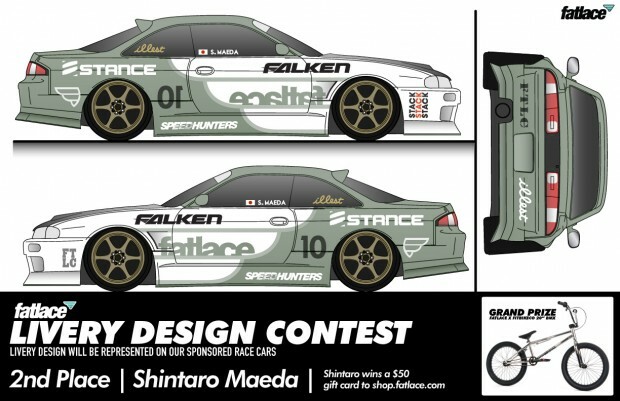 2nd Place goes to Shintaro Maeda. The colorway he chose was great and most likely we’ll use this theme on our B team. 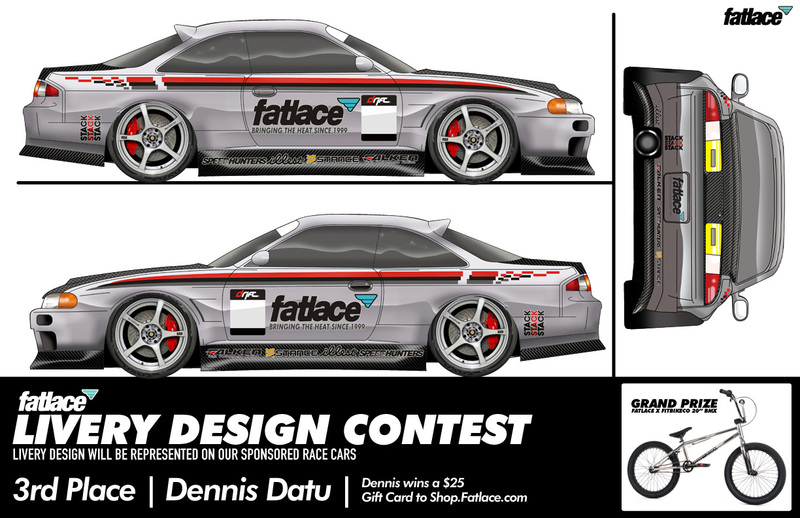 and third place went to Dennis Datu for spending the extra time making his render realistic. any way we can see all the other livery entries? A win win would have been the “illest” sticker going around the whole car! lovin the 2nd place, but all three are absolutely great. Very good choices. 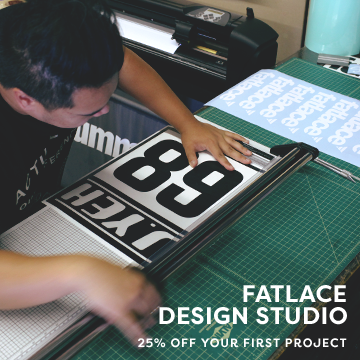 Fatlace RC Decals!! YES YES YES!!! Now your talkin! Im all about the RC Drift! killersushi99 on Youtube. Check it! Would love to see a decal kit to use on RC. Great choices…….